The South African women’s basketball team has withdrawn from the Afrobasket qualifier taking place in Maputo, Mozambique following a dispute between players and the association. African people have become hostile towards each other over the past couple of years, and there have been quite a few people who have remained silent about the impact it has on the relations between African countries and its people. Following the xenophobic protests and attacks against foreigners in Tshwane over a week ago, I had my daily check-in from social media and morning news channels. It honestly did not have any effect on me until a very close friend (partner) from Nigeria said to me; “Thuli, did you hear about these xenophobia attacks? Yah, nor it’s scary. I am not safe in South Africa at all.” That moment “shook” me. I stood still and had no response to his question, comment and fear. Xenophobia is understood to be the dislike of or prejudice against people from other countries. South Africa has been one of the few countries on this continent that has regularly experienced xenophobic attacks against foreign African migrants for almost 10 years. Well, this is my response. How does a South African, like myself, maintain a level of patriotism when my fellow South Africans are involved in deliberate attacks against a fellow African? Why do we (South Africa) have to go through discriminatory violence and prejudice? Who is to blame for this incitement of violence? In December 2016, Johannesburg Mayor Herman Mashaba made some reckless public statements blaming illegal immigrants for crime and calling on them to leave the city. “Illegal immigrants are holding our country to ransom and I am going to be the last South African to allow it,” said Mayor Mashaba. Africa is a beautiful and a big-enough continent to accommodate all those who wish to live here. One finds it hard to believe that South Africa is an exception. For instance, during the apartheid regime a number of people escaped to different African countries, and those countries opened borders and homes to accommodate them. How quickly we (South Africans) have forgotten. How does a South African, like myself, maintain a level of patriotism when my fellow South Africans are involved in deliberate attacks against a fellow African? On March 5, 2017, Eyewitness News reported that a coalition of organisations had warned government leaders and politicians to refrain from making statements which could incite xenophobia. The organisations, including Sonke Gender Justice and refugee organisation UniFam, marched to Parliament last Saturday to demand that government protect foreign nationals. As a reaction towards the recent xenophobic attacks, the National Association of Nigerian Students, NANS, Enugu state chapter, threatened it would fight back if the killing of Nigerians in South Africa reoccurs, saying, “enough is enough”. The worst thing one can experience when visiting a family member, friend or workplace is to find that your presence is unwelcomed. Why can’t we live as one community with all our differences of race, nationality, ethnicity and religions? Africa is for all Africans. I believe that we are African before we are South Africans. My support lies with those who are against the attacks on foreign nationals. “South Africa never leaves one indifferent. Its history, its population, its landscapes and cultures – all speak to the visitor, to the student, to the friend of Africa,” wrote Tariq Ramadan, a Swiss-Moroccan academic, philosopher and writer. Xenophobia and unfair discrimination of human beings is childish and unacceptable and it needs to stop now. Wits Vuvuzela, Witsies say ‘no!’ to xenophobia. April 2015. Wits Vuvuzela, New website to blow the whistle on xenophobia. August 2016. Wits Vuvuzela, Youth league marches against xenophobia. April 2015. Nolwazi Mbali Lwandle Gule, who is a former eNCA content producer, finds herself back to her first love – radio. She has been appointed at PowerFM as senior producer for the PowerBreakfast with Thabiso Tema. Gigi Lamayne’s trademark beats with a funny lyrical flow is what her light-hearted love song My Ugly Boy is all about. Meet your cool kid on campus who believes in acting for change. 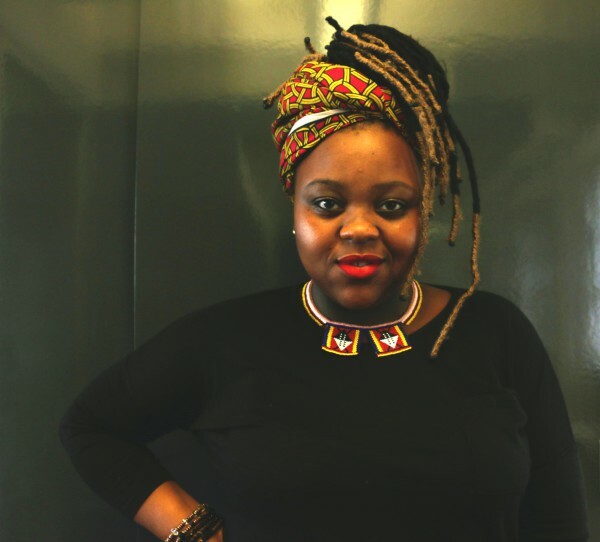 Swankie Mafoko is an actress on the newest SABC2 telenovela Keeping Score and an “artist activist”. 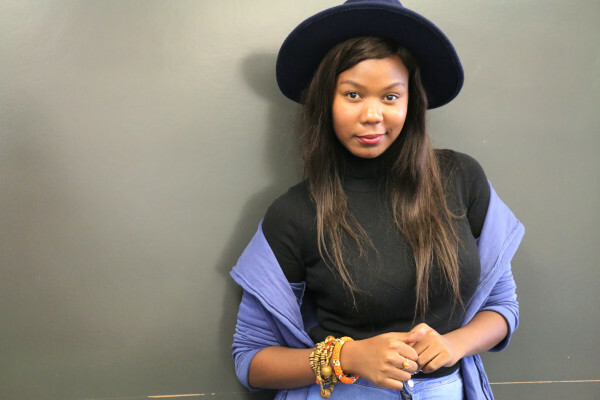 The 23 year-old is a Kasi Durbanite who moved to Joburg to pursue her career in drama and performing arts. “It’s different when you studied something (drama) and when you go and work in the industry,” she says. Her supporting actress role on Keeping Score is her first television gig. However, Swankie hasn’t been shy to perform on stage. “I’ve been doing theatre for years now, since 2008 from Durban,” says Swankie. She completed her BA in Dramatic Arts in 2016. Swankie found herself having to juggle both her studies and work. Having had the opportunity to work for VowFM as a radio presenter, news compiler and recently contributed to the Wits #FeesMustFall book by Prof Susan Booysen. “I specifically spoke about documenting the revolution in relation to an art piece. “What makes me cool? Besides me having a great personality and being fun, I can safely say that my voice and my laugh make me cool,” laughs Swankie. The Wits Boxing club is fighting to make a comeback following the cancellation of the University Sports South Africa (USSA) tournament in December last year. The club’s chairperson, Sifiso Malinga, said that the strategy for the club this year is to increase interest in the sport. As a way to recruit newcomers to the club, plans are underway to demonstrate some light technical work on the library lawns once a week. According to Malinga 35 first years have enrolled. “It has been a very slow start to the year. “We prefer to start off light, and work our way towards getting everyone to be as fit as their weight classes require, if not beyond that fitness level,” said Malinga. 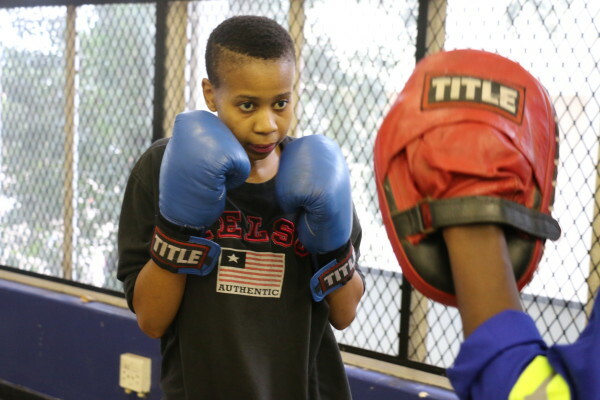 Through maintaining fitness for beginners and advance boxers, the club is gradually preparing for the 2017 USSA taking place in the middle of the year. “Showing the general public, not just the Wits Community, that boxing as a sport is not about violence and aggression but rather about strategy, vision, determination and most importantly fun,” said Malinga. “We have been participating in tournaments around Johannesburg since we are affiliated with Johannesburg Amateur Boxing Association (JABO) and they often invite our boxers to fight in their tournaments throughout the year,” he said. Malinga told Wits Vuvuzela that the club is not only for people who know boxing but that anyone with interest is welcome. The club trains from Monday to Thursday, on the first floor of Hall 29. He added that coaches such as Boetie Lourens will be coming through to teach and train the basic boxing skills.